This has always been one of my favorite Anne books. In Anne of the Island, she got a ridiculous number of marriage proposals. In Anne of Windy Poplars, there are a ridiculous amount of love affairs and deaths… There are also a few characters who contrast highly with each other. Elizabeth Grayson = child starved of any emotional or spiritual feeling. She’s unloved, her soul and her thoughts are smothered by stoniness and a rod of iron exercised over her by her grandmother. Katharine Brooke = young woman whose childhood was also starved of any love or care. Driven by ambition alone, she presses on doing what she’s good at, but not what she loves. She hates her life, hates teaching, yet she does it. Never anyone who encouraged her. These two are similar, and Anne changes the lives of both. The only difference between the two characters mentioned above is their perspective on Anne. Elizabeth absolutely adores her, but she’s also shut out from the world. Katharine shuts herself out from society, but being in the same sphere as Anne, she’s jealous of her. But wait… I’ve forgotten a character or two. Teddy Armstrong = the sweetest boy imaginable. A bit spiritually deprived, he has all the love and care a boy could want. He’s perfectly contented, he’s perfectly happy. 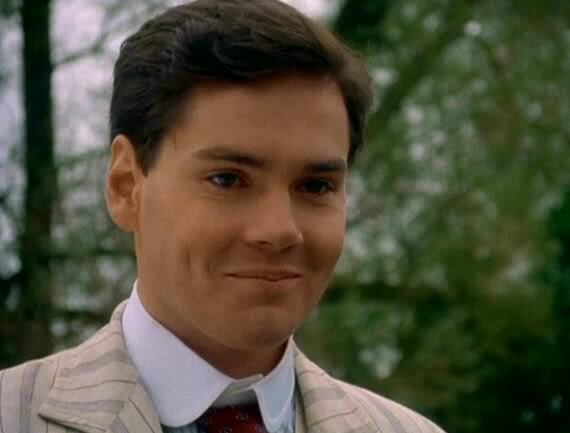 James Armstrong = the boy’s father. Grieved over the loss of his wife, he throws everything he has into his son. A few weeks earlier, Anne had come with a student to the house, asking for donations for the Dramatic Society. He rudely turned her out, but Teddy came and gave them both his apple turnover, because he thought he heard them ask his father for food. Anne and Lewis had taken a picture of him and his dog, which turned out beautifully. Anne was taking the picture to the boy when she heard of his death, but she gave it to his father, who bursts into tears at the sight of his son. He’s completely moved because of what Anne did. Even though he shut the door in her face, she showed this last bit of kindness to him. It seems bizarre, but it’s really not, but the young man Anne had with her turns out to be the son of Mr. Armstrong’s half sister. Armstrong and Lewis had thought themselves alone in the world. Then, at the height of their loneliness, they found each other. God gave back in portion what He had taken away. Back to the two girls… Anne could sympathize with both of them. She had been an orphan, she had had a starved childhood. But then she could show them something, she could give them something, because she eventually found love and warmth. The fulness of her soul expanded and grew, and it reached out to the highest and widest, seeking to give everything it could to the world. She soon changed Katharine, who gave up what she hated and moved on to what she loved. Through her, Elizabeth learned how to laugh, how to love. Because of Anne, her father came home, and she would know what a happy childhood was. This is what I mean by Life versus Death: Elizabeth’s childhood compared to Teddy’s. Elizabeth’s father sent her away because he couldn’t bear to be reminded of his wife. Teddy’s father clung to him, because he was what was left of his wife, and he was his son. Here is the difference between tenderness, and coldness. A stark contrast between neglect, and care. Starving a soul of emotional and spiritual need is as good as putting it to death. And even though Teddy didn’t have much of a spiritual guidance from his father, he knew what it was like to be loved fully, and from that he derived spiritual meanings. In spite of what his father said, he knew there was a heaven, and he knew that God was there, and he knew his mother was there, and he felt assurance that he would go there too. Just before Teddy died, his father admitted to him that he was right. Though Teddy never went to church, his soul was very much alive, that was certain. Elizabeth’s soul was more dead than his, even though she had all the spiritual training she could want. Spirituality without love is ineffectual. Anne’s soul was very much alive with love and spirituality. Planted inside of her are meaningful truths and a love for God, and it’s nurtured by the love of her friends. So, I suppose what I came away thinking was to give to the fullest of my ability. To never forget the soul, to remember to nurture it with God’s word, but also with the gifts that God has given us… beauty in nature, love, giving…. there are so many to name. A soul can be starved, but it’s not a pretty sight. What empty eyes! Can you imagine the feelings? A heart that only feels bitterness, anger, resentment and despair? All these unmixed with faith, hope, love. Can you imagine? I love the moon. The moon is probably one of my favorite aspects of nature. I try to imagine my soul starved. I could never look at the moon and wonder at it, and feel that weird prick inside of me that makes me breathe deeply and wonder at the beauty of God’s creation. I couldn’t do that, because I would probably never look at the moon. I probably would never wonder anything. I love to laugh. Would I be able to laugh? I finished Anne of the Island, jumped off the couch, stomped my way into the kitchen and exclaimed in a weird voice: “I’LL NEVER BE THE SAME AGAIN!” And I do believe I won’t. I always say that after I’m particularly affected by something in a book. I love the themes that played out in this book. Anne’s desire to go to school and finish her education, homesickness and last but not least, the battle between idealism and a true sense of reality. Anne’s reality was very beautiful because… why? Oh, because it was Gilbert. But she didn’t think so at first, because her ideals got in the way. It happens to everyone, I’m pretty sure. We create ideals for a work position, a marriage partner, a lifestyle etc. However, when our ideals aren’t fulfilled, we’re left dissatisfied and empty, because there’s no joy left to embrace the beauty in the reality that we have. Anne’s ideal man: tall, handsome, poetical, melancholy…. It sounds nice, doesn’t it? 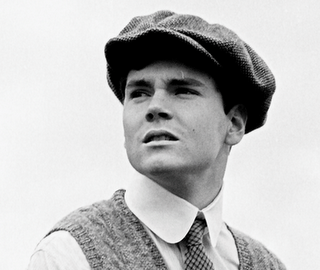 Gilbert is tall, hardly melancholy, humorous, and appreciative of literature and poetry but not drowning in the romance of it. He’s almost the complete opposite of Anne’s ideal. He’s just a chum. Sometimes that’s how I look at things. I refuse to see the aspects I might benefit from in a friendship, in a job or in an education. So here comes the catch. Though there may be something I need, I don’t see it because of what I want, and what I think I need. There is a God in the heavens, who knows me so well, knows me so much better than I know myself, that He also knows exactly what I need, in a job, in a friend, in school, in marriage, in every aspect and situation of life. This is what Anne found out. Royal Gardner was everything she ever wanted. So, Anne rejects poor Gilbert, who hides his disappointment and strives to “get over her” (not happening) as best he can. “Roy” shows up, and Anne falls head over heels for him. But why, when Roy proposes, does Anne say no, when she had every intention of saying yes? She realized at that critical moment that Roy wasn’t what she needed. The horrible emptiness she felt after Gilbert “ceased to be a friend” nagged at her mind, but she was still confused. The only thing she felt right about was refusing Roy, and she felt at peace about it. She realized what she needed and wanted all along when that thing was about to be snatched out of her life forever. I’d say this was impeccable timing, wouldn’t you? But don’t go and throw idealism out the window. Just because Anne realized she didn’t need her ideal doesn’t mean she should go and marry Charlie Sloane, for instance. Don’t shoot low, just because you can’t obtain the perfection of your ideals. Strive for the best, but don’t just settle on something. Even in striving for the best, ideals might get in the way. Ideals are things that are good and dangerous at the same time. Don’t ignore them, but don’t build your life on them. It’s confusing, isn’t it? Someday I’ll devote a whole blog post on the subject. Anne’s friend, Philippa Gordon, goes through much the same thing. She had her ideals… a rich man, a good name, handsome. She ended up marrying a man who loved every bit of her, who could see underneath her mask of frivolity into her inner soul and love it. He was poor, a minister and she described him as ugly. But she could see into his soul, and that made him beautiful to her. All of the sudden, her ideals came crashing down as well. Do I say too much in these posts? I can never decide when to stop. When Anne leaves for college, she crosses the same body of water in the same boat that carried her to Prince Edward Island when she was eleven or twelve. She had first crossed it, expecting a change in her life for the better. The old life, with its run-down families and asylums would be gone forever, and this would begin the next epoch of her life. For seven or eight years, she had not stirred from the Island. She had been contented with her life; her character had been honed; friends had been made. Things had stayed the same. But after she leaves for her first year of college, things start to change. Not in routine, or lifestyle, but in experience, and wisdom, and feeling. 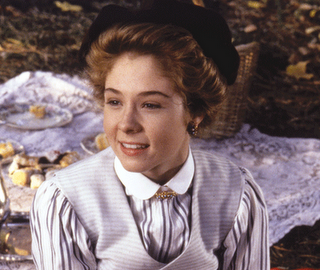 Avonlea felt different to her when she visited, almost as though she were a stranger. And it’s true that places we live that we learn to love are just resting stops. We move on, eventually, and though they still remain dear, we change, and we move on. It’s a bit sad, but it’s a bit of life as well. These Anne posts are by far my very favorite. I love thinking through what I’m going to say, and watch the thoughts and ideas take shape in my mind. My soul thrills when I read these books, no exaggeration. I quote: “I love Anne of Avonlea because of just the beauty and wonder of a girl going form girlhood to womanhood…” Hayley said this in reply to my question of what her favorite Anne book was. This flow is caught very much through the book, and the simple, girlish dreams quietly submerge into womanly ideas. The sense of Anne’s girlhood is very strong throughout these pages. Though she’s mature, a little wiser, and a little more sensible, she’s still… well, a girl. But look at the end. I sometimes feel as though I’m turning the page from girlhood to womanhood… and then I turn the page back to re-read something, or do something I missed… it’s that hovering stage. I’m not really a girl anymore, but I’m not quite a woman. Another thing that struck me was the change in Diana and Anne’s friendship. Their relationship didn’t fall out, but there was a slight sifting of ground. It’s when Diana becomes engaged. Anne says to herself once or twice that she can’t tell Diana “this or that” because “she’ll be sure to tell Fred. I know, because she tells him everything.” Far from grudging Diana for this, Anne seems content to keep some of her thoughts to herself. However, she says: “Oh, I think these engagements are dreadfully unsettling things when they happen to your intimate friends.” Amen, sistahh! This again is another change from “Anne the girl” to “Anne the woman.” As little girls, we love anything that has to do with an engagement, or a wedding. At that young age, it’s hard to sense the change that comes in a close friendship. I can understand Anne perfectly in this, because I have three or four very close friends now who are either married or getting prepared for their weddings. You still continue to love that person to death, but aspects of your friendship change. You feel a bit lonelier than before, a bit more by yourself. It’s not a bad thing, but sometimes it can be a hard thing, and part of this is what helps Anne turn the page to womanhood. I have an exciting announcement to make. Of course, this will probably only interest the girl population of my readers, but I encourage everyone to stay tune!! I think almost everybody’s read the “Anne of Green Gables” series. If not, I’m sure everybody’s familiar with them. If not, then I strongly recommend the Anne of Green Gables series by L.M. Montgomery. I think I’ve read the whole series twice. Some of the books three times. That was back in the day when I only read L.M. Montgomery, Louisa May Alcott, and Brian Jacques. My friend Hayley and I are going to read the series again, one book per week, and at the end of each week, post our thoughts, ideas, imaginings etc as they come to us from the books. 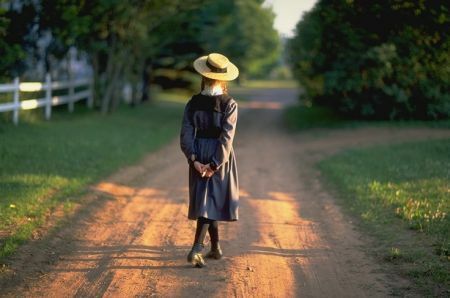 Anyone who reads this blog should still read through the Anne of Green Gables posts. Don’t feel childish, or girlish in doing so. I have a feeling there’s a lot I’m going to learn in the next 7 weeks. I will be posting other things… I have about 75 drafts I should finish up, so don’t desert poor Carpe Diem, I’ve just had a busy few weeks, and not much time for writing.